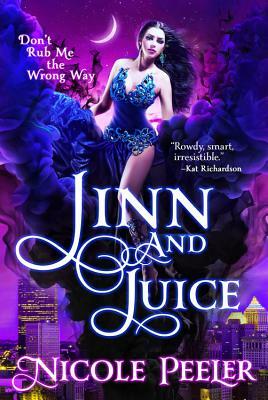 In this rowdy and raunchy urban fantasy, Lyla escaped an arranged marriage by accepting a deal from a jinni -- to live a thousand years as a jinni herself. Now, with her millennia nearly up, she's hiding out in a seedy Pittsburgh swarming with vampires, jinni and magical beings. Meet Lyla, a thousand-year-old Jinn, a belly dancer, and the hottest new urban fantasy heroine in town. With her thousand-year-long servitude ending, Lyla faces a few serious obstacles to freedom. A Magi intent on binding her again, a jinni bent on vengeance, and not to mention the nightmare from her past that threatens to make her curse permanent -- and claim her very soul.